Games against Albion Rovers have been difficult affairs in recent times with the Wee Rovers certainly having the upper hand, This season there hasn’t been much between the teams though with both sides having won their home ties leading to this game. The last meeting at Cliftonhill saw the Coatbridge side win 4-0 but that was due to an implosion in the latter stages of the game after the Warriors had been arguably the better of the teams. The pitch was a typical Cliftonhill pitch for this time of year and this wasn’t really conducive to flowing football with both teams struggling to get any rhythm into their game. It was the home side though that had the better of the early exchanges. Ryan Wallace came close with an acrobatic effort in the fourth minute and a minute later he came close again with a glancing header. 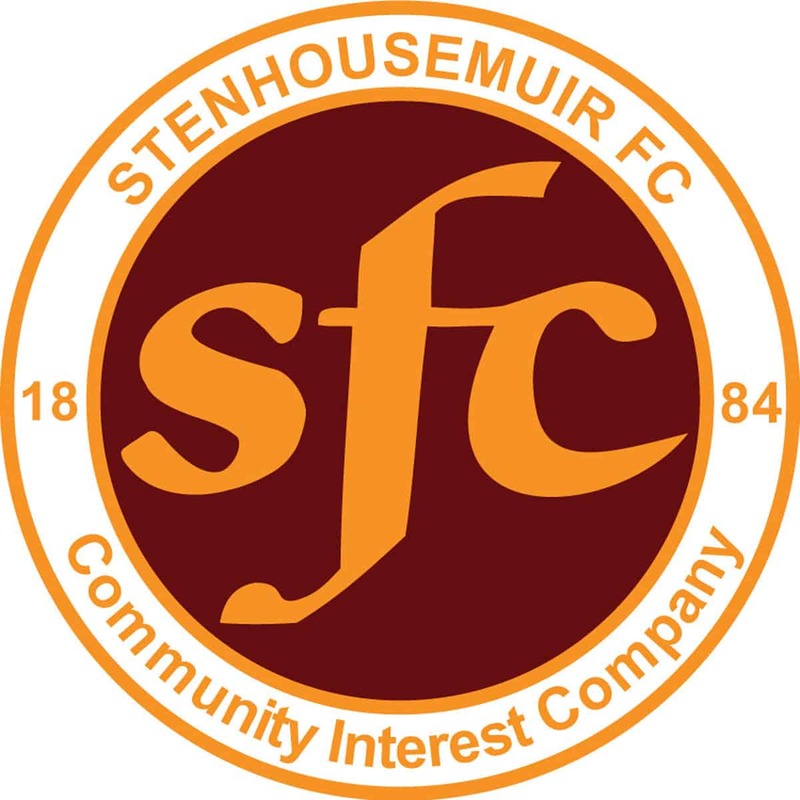 Stenhousemuir responded with a run and shot by Alan Cook that was stopped by the keeper who although he didn’t handle cleanly made sure his body was in place to protect. The game was relativity scrappy though and when the Rovers took the lead in the 29th minute it summed up how the game had went. A free kick was played to the back post for Michael Dunlop to head across goal. David Crawford looked as if he would collect but was nudged by Colin McMenamin and the ball seemed to hit the striker on the shoulder and go into the net. The Warriors were shaken by this and struggling with the wind they reacted poorly to another set play a minute later that caused problems before the danger dissipated. The second half saw Stenhousemuir come out fighting and for most of the second period they had the bulk of the play with the midfield taking control and Rovers went for the long ball in the main bypassing their players. Rovers were still a threat on the counter attack and could have extended their lead in the 48th minute when Michael Dunlop who was still up front after a previous free kick had fizzled out found himself the furthest advanced player and tried to chip Crawford who had to extend himself to full stretch to save the effort. A run and cross by Willis Furtado created an opening but Ross Stewart was able to gather without too much difficulty. The keeper was called into action once more in the 54th minute to save from Alan Cook with a fairly routine save. Just before the hour Mason Robertson made his debut after signing earlier in the week and the 22 year old was to have an impact on the game. A layoff to Colin McMenamin opened up the home defence in the 68th minute but the veteran striker shot wide of the target. In the 83rd minute though Robertson made the breakthrough when he latched on to a Cook cross come shot and tucked the ball home to get the equaliser. In the dying minutes there was activity at both ends with Crawford saving the Warriors with a fine double save before a 25 yard strike by sub Jack Smith clipped the crossbar before going over. The final whistle saw the game end with the scores level which was probably a fair reflection of the game but at the same time both managers will be disappointed not to see their team pick up all three points. Albion Rovers – R.M.Stewart, Gilmour [b63], Reid, Fisher, R.Dunlop, M.Dunlop, Ferry, Davidson [Shields 70], Ferguson, Wallace [b73][T.Archibald 74]and R.C.Stewart. Subs not used – Potts, Turnbull, Lightbody, Gallacher and P,Archibald. Stenhousemuir –Crawford, McCormack [b28], Summers, Marsh, Kerr, Berry, Furtado [Mazana 74], Millar, McMenamin [Smith 87], Roy [Robertson 58] and Cook. Subs not used – Duthie, Meechan, Stirling and Bowman [t]. Referee – Barry Cook Assistants – Graeme Stewart and George Calder.